Home » Why Aren’t Retailers Adopting Bitcoin? Why Aren’t Retailers Adopting Bitcoin? Internet Retailer, an e-commerce research subsidiary of Digital Commerce 360, recently released its 2017 Top 500 Analysis Report. Of the top 500 merchants as measured by online sales, only three accept bitcoin. In a Bloomberg article, Morgan Stanley payments analyst James Faucette explains this is down from the five retailers that accepted bitcoin payments last year. For all the hurrah about bitcoin, why is this number so low? Faucette points to two major obstacles to adoption of bitcoin by merchants and customers: scaling and value. Let’s dig into these issues. Faucette contends that increasing transaction fees pose an obstacle to widespread use of bitcoin. He’s right. Why pay a transaction fee for using bitcoin when you can just as easily pay using a credit card? Retailers already shoulder the burden of transaction fees for credit card usage, while customers would need to pay the transaction fees when using bitcoin. From a customer standpoint, there’s no good reason to part with your precious bitcoin – not just yet. Additionally, these transaction fees make smaller purchases less attractive. If you’re paying a standard transaction fee, then it only makes sense to use bitcoin for larger purchases. It’s like visiting a dinner buffet. You’ve already paid your entry fee, so why eat just a few plain bread rolls? Instead, go for the high-value items (i.e., crab, prime rib). From a retailer perspective, scaling is an even more significant issue. Companies demand certainty in sales. An online merchant needs to know that it has received payment before shipping a product to the consumer. As more and more bitcoin transactions are submitted, a backlog develops as the retailer must wait for their particular payment transaction to get added to a block and processed. Keeping inventory for longer than necessary is an opportunity cost. Retailers require a highly efficient supply chain to maximize profit. For example, every minute counts when it comes to Amazon’s same-day delivery. The time lost during block confirmation makes bitcoin transactions less efficient than traditional mechanisms, such as credit card payments, which are processed almost instantaneously. Faucette also notes that many folks are simply holding onto their bitcoins. "Bitcoin owners are reluctant to use the cryptocurrency given its rate of appreciation, more evidence that bitcoin is more asset than currency," he said. In this matter, price volatility is key. If you purchase a PlayStation 4 using bitcoin, then there’s a fair-to-good chance that you could have bought the console and a game if you had waited a few hours. The fluctuations in bitcoin’s value make owners hesitant to part with their digital assets. To ensure price certainty, consumers may prefer to make purchases with dollars. Implementing and maintaining the infrastructure to accept bitcoin payments may not be worthwhile for retailers. There exists a breakeven point. If bitcoin transactions fall below a threshold, then the retailer might reject the alternative payment mechanism entirely. In some cases, paying an employee to maintain a wallet might not be worth it. Ultimately, this equation is driven by demand, not supply. In all, the utility of bitcoin may be misunderstood. On a day-to-day basis, buying clothing, gadgets, or textbooks with bitcoin doesn’t seem to make a whole lot of sense. Online retailers must conduct cost-benefit analyses to determine whether bitcoin adoption makes financial sense. With its current high valuation, bitcoin has emerged more as a store of value than a unit of account, so merchants would be wise to recognize this distinction. Ethereum’s development community can learn from bitcoin’s rapid expansion and retailers’ mild backpedaling. 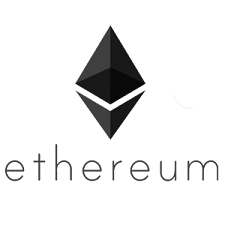 The issues faced by bitcoin – scaling, transaction fees, and volatility itself – also pose challenges to widespread adoption of Ethereum. Consumers and investors in each network need to slowly draw the line between currency and store of value. This isn’t something that will happen overnight, but it’s a lesson that applies equally to bitcoin and Ether enthusiasts alike. Achieving critical mass requires patient development and sound solutions, so looking at bitcoin’s experience to understand common problems may provide a path forward for Ethereum.